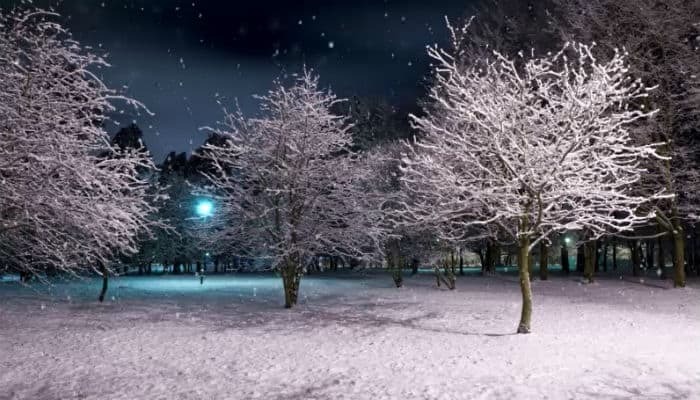 With so many Christmas films featuring a snowy landscape it is no surprise that a leisurely walk through a snow filled park on a cold winters evening is something that so many of us love to do. The crisp crunch of fresh snow under your feet, the coldness on your face making you feel red faced and flushed, the unique snowflakes falling to the ground in front of you. With so much magic in the air during this time it is easy to see why we love a Christmas Stroll so much. With the thought in our minds that this was so loved we decided to bring this wonderful experience to our e Christmas cards for business and created Christmas Stroll. Rather than feeling desolate and stark, we feel that walk in a park makes the dark night and white contrast of snow seem inviting and appealing. As well as this we feel that the mixture of traditional snow scenes with the natural beauty of a landscape works fantastically in creating a real sense of festive holiday cheer. As with the entire range of business holiday ecards that we offer Walk in the Park is customisable with text sections that can be amended and changed as you wish. We even build into our e cards the facility to add your own company logo to really make the sentiment your own!